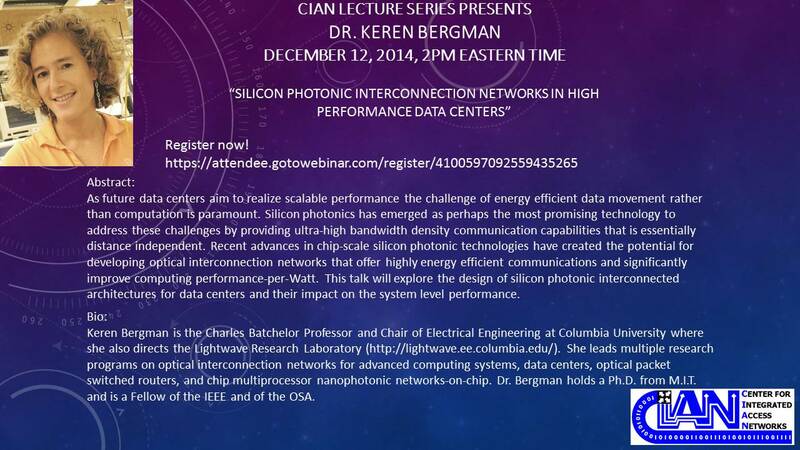 Keren Bergman is the Charles Batchelor Professor and Chair of Electrical Engineering at Columbia University where she also directs the Lightwave Research Laboratory (http://lightwave.ee.columbia.edu/). 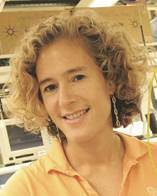 She leads multiple research programs on optical interconnection networks for advanced computing systems, data centers, optical packet switched routers, and chip multiprocessor nanophotonic networks-on-chip. Dr. Bergman holds a Ph.D. from M.I.T. and is a Fellow of the IEEE and of the OSA. As future data centers aim to realize scalable performance the challenge of energy efficient data movement rather than computation is paramount. Silicon photonics has emerged as perhaps the most promising technology to address these challenges by providing ultra-high bandwidth density communication capabilities that is essentially distance independent. Recent advances in chip-scale silicon photonic technologies have created the potential for developing optical interconnection networks that offer highly energy efficient communications and significantly improve computing performance-per-Watt. This talk will explore the design of silicon photonic interconnected architectures for data centers and their impact on the system level performance. This entry was posted in Research, Videos and tagged Columbia University, research, video, Webinar. Bookmark the permalink.